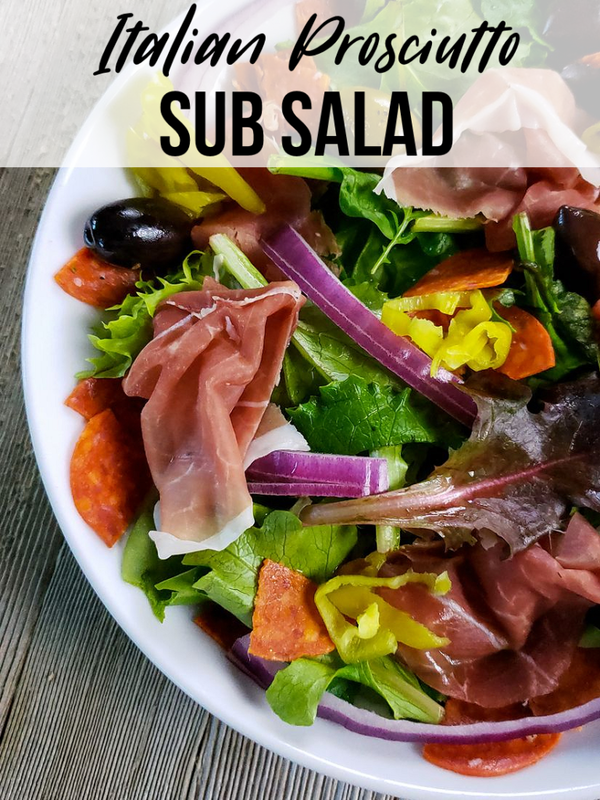 Italian Prosciutto Sub Salad is a salad we love to make for lunch or for easy dinners. 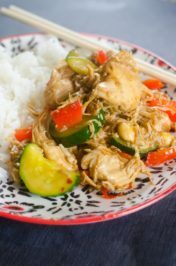 It’s light and features flavors from the olives, prosciutto, and peperoncini’s. Compliment this salad with a nice vinaigrette dressing. However, any dressing that you prefer can be used. Keep prosciutto on hand for salads and other dishes. With a sandwich or cantaloupe prosciutto pairs nicely with. Hence, it tasty when topped on a salad with the right ingredients to compliment it. The prosciutto’s texture is wonderfully fitting for salad. 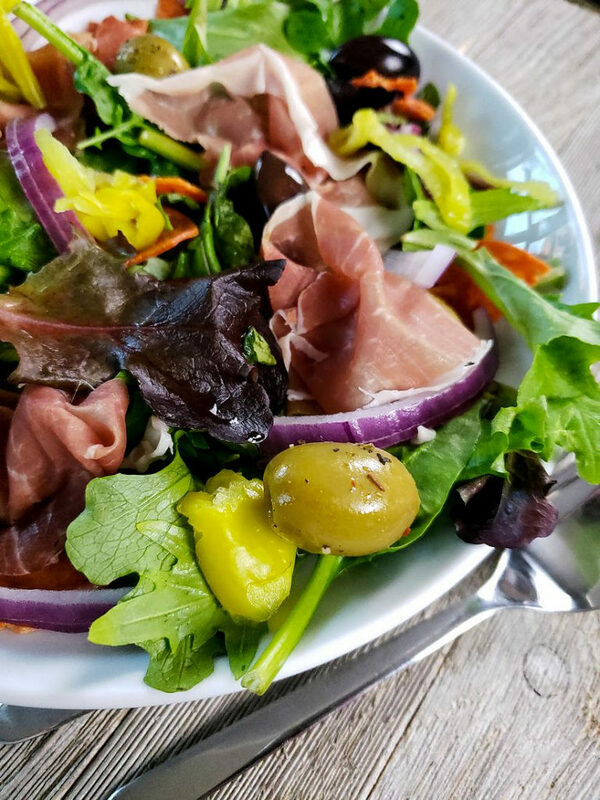 Therefore, when it comes to salads this Italian Prosciutto Sub Salad is one of my son’s favorites. 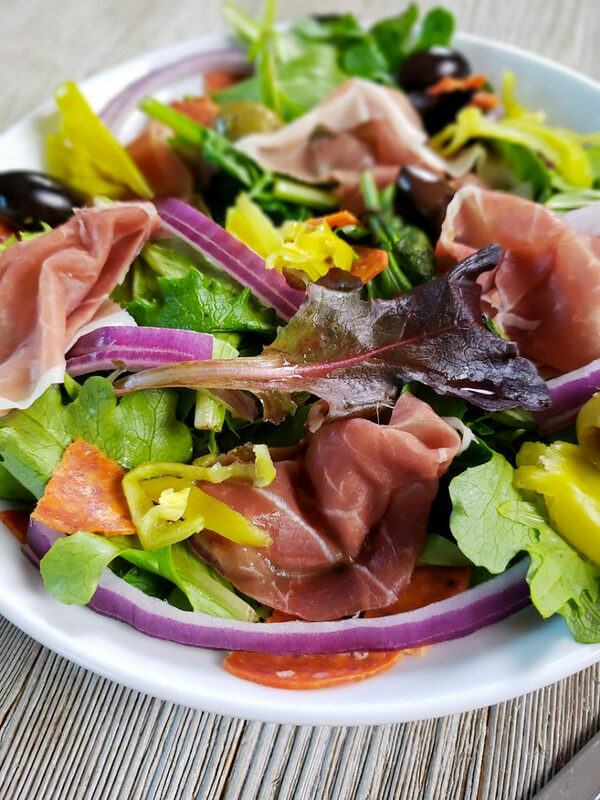 Prosciutto and peperoncini’s top this sub salad. Also topped with pepperoni and two different types of olives. Additionally, red onions and parmesan can be added for extra flavor. This salad is perfectly healthy! Sub salad can definitely change up those lunch box blues. Hence, with all the bright colors it’s a lunch that’s easy to look forward too. Not to mention it’s gluten free, corn free, and dairy free. 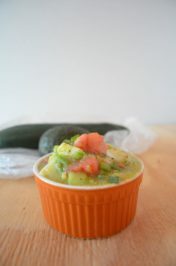 Thus, when we pack this for lunch we use reusable/microwaveable black containers which are also dishwasher safe. Lastly, the prosciutto that is used in this recipe is Prosciutto Di Parma not the piccolo. This type of prosciutto is great for charcuterie boards. For instance, for valentine’s or a winter charcuterie board is great for date night. Additionally, these charcuterie boards are great for lunches too. 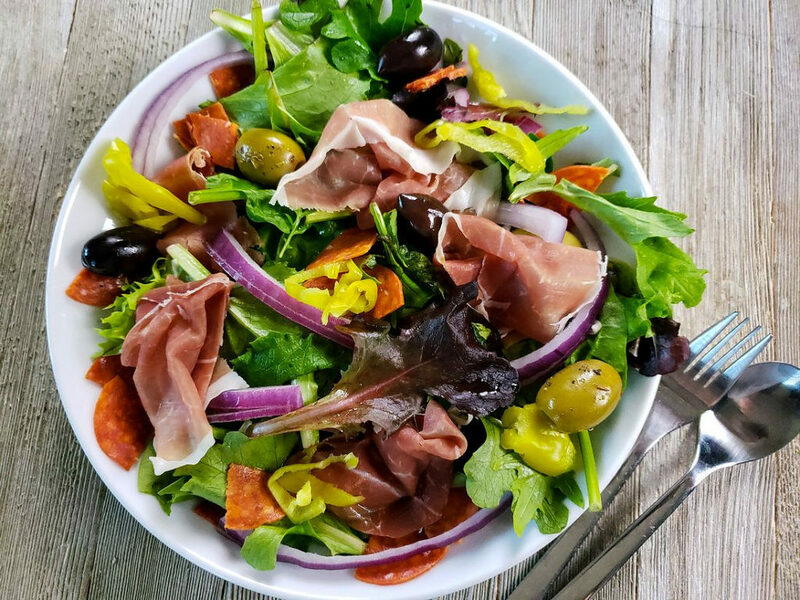 Italian Prosciutto Sub Salad is topped with prosciutto, pepperoni, red onion, and olives. 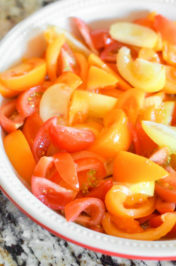 Wash salad and place into a bowl or plate. Slice red onion in to half moon rounds. Top on salad. Slice pepperoni and top on salad. 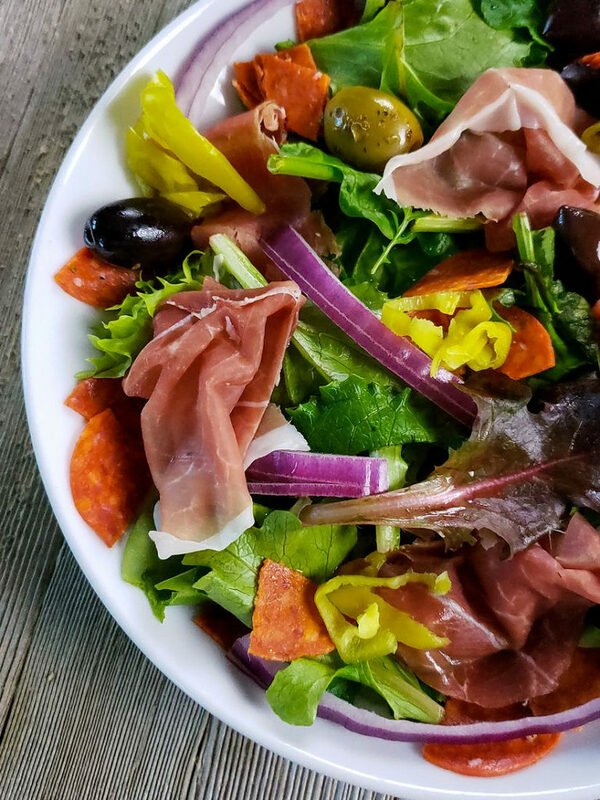 Place prosciutto and olives on the salad. Top with peperoncini’s and/or parmesan. Drizzle on dressing of choice and serve. Top with parmesan and dressing of choice.